Humans pray and work for advancements, but every new development creates a new challenge about its use and abuse. A new device’s speed in solving problems may not be faster than its speed in causing some unexpected harms. The invention of locomotive engines and other engines revolutionized different aspects of human life including production, warfare and transportation. The progress in transportation revolutionized human interaction, social encounters and functional efficiency all over the world. Yet, miseries resulting annually from these inventions leads to several thousand people’s death or injury as accidents in Nigeria. Experiences and reports of road accidents in Nigeria are now common on Nigeria’s news media, cyberspace and physical neighbourhoods. Visiting emergency units of various hospitals and clinics reveal the high physical, emotional and economic damages resulting from accidents. 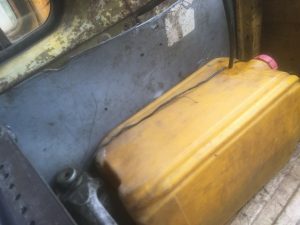 Many fuel tankers have burnt people in their cars, burnt roadside shops and damaged infrastructures. Heavy trucks, Lorries and container-trailers recklessly crush buses, cars, motorcycles and even passers-by leading to deaths and injuries. Then events of engine overheating, explosion, tyre-bursts, break-failure, sudden wreckage, collision, hit and run contribute to the misery. Accident is defined as “an unpleasant event, especially in a vehicle, that happens unexpectedly and causes injury or damage”. It is something that happens unexpectedly and is not planned in advance. Accidents happen in different forms like industrial accidents with engines, chemicals and explosives, or domestically like gas or gadget explosion. We discussed some of these accidents and their causes in a previous article, Consumer protection for Nigeria. 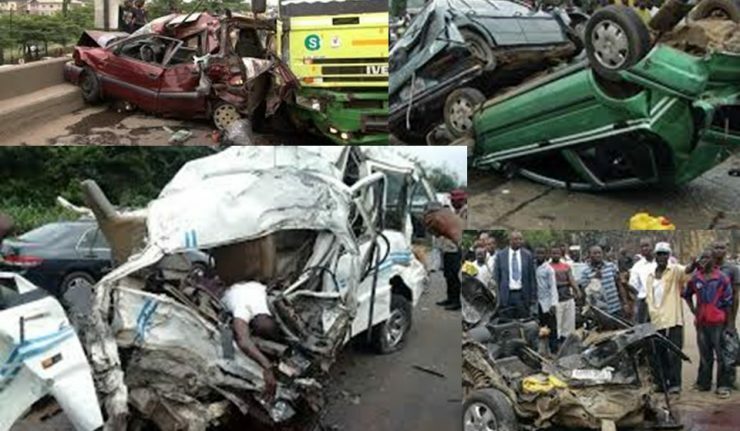 In this article, we are focusing on road accident as a major cause of death, injuries and miseries in Nigeria. Bad and insufficient roads: it is common to notice that many roads constructed in Nigeria are substandard, often lacking proper drainage system and maintenance. Because of their constant damage, which expose road users to accidents and car-wreckage, Nigerian roads are often called death traps. The dangerous state of many Nigerian roads diverts heavy traffic to new roads, thereby damaging the new roads. When heavy trailers, tankers, Lorries, buses and trucks consistently navigate through tiny and lightweight roads, the road’s lifespan reduces. Substandard vehicles: few years after introducing the Structural Adjustment Programme in Nigeria, many Nigerians can no longer to afford new vehicles. Instead, they settle for foreign-used vehicles (Tokunbo), some of which are considered unworthy for Western roads. Today, foreigners who get tired of their cars from accident, flood or technical faults ship them down to Africa. Then, Nigerians buy them along with their faults, waiting for the day of reckoning. Poor vehicle maintenance: due to poverty and negligence, some Nigerians see regular car check-ups and proper maintenance as luxuries they cannot afford. Hence, some people ignore warning signs on their vehicle indicators, or they pray that the faults heal on their own. After sometime of ignoring the warning signs, the fault worsens internally and causes accidents when it manifests. Some Nigerians continue managing old tyres, bad break systems, engine problems, bad head lights and other faults until accidents happen. Unqualified mechanics: the mechanic profession appears to be one of the most unregulated professions in Nigeria. Many people servicing and repairing vehicles in Nigeria lack adequate knowledge of the principles behind those vehicles. They did not have to study and understand these theories in school before practicing them in workshops. They simply observe their ‘oga’ loosing and ‘tighting’ different car parts in a usual trial and error mode of operation. After some weeks of observing the trial-and-error loosing and fixing, a boy wears some oil-stained jacket and automatically becomes a mechanic. Unfortunately, we do not investigate the roles of mechanics that fixed cars that get involved in accidents. We simply blame ‘village people’. Unqualified drivers: when handled by incapable hands, some machines become dangerous both for the operator and other people. Locomotive vehicles are more dangerous because of their speed and capacity to affect many people at once. Hence, responsible societies ensure that only capable people drive within the society by training, evaluating and licensing capable people. Unfortunately in Nigeria, many people obtain driving licenses without any certified training or evaluation. Once they can pay extra to agents who are more interested in getting cuts than in the person’s capacity, they get licensed. Hence, there are many licensed drivers in Nigeria who should not have a license at all, nor be allowed to drive in Nigeria. They include people who are unable to read road signs, people with impaired visions and other impairments. Dysfunctional drivers: even when people have been properly trained to drive, they still require composed disposition to avoid causing accidents in Nigeria. Without psychological balance, even trained drivers become dangerous to the society. These are situations of stress, anxiety, aggression, bitterness, over-excitement and drunkenness. The most considered state of driving dysfunctionality is drunkenness. Unfortunately, Nigeria’s traffic agents are not keen on checking drivers’ disposition, nor is it taken seriously. Many commercial drivers and ‘okada’-men begin the day’s work with shots of alcohol, whose alcoholic odours disturb passengers. Since traffic agents do not check for it, young people drive after drinking heavily at clubs and parties. People driving with anxiety issues, trauma, aggression and accumulated bitterness from Nigeria’s social circumstance often cause accidents in Nigeria. Terrible traffic agencies: progress in the functionality of any group relies on the commitment, integrity and professionalism of the people regulating it. It begins with social enlightenment and interaction to develop rules for these groups and the regulatory bodies. Unfortunately, the process of making traffic laws in Nigeria follows alienating process used in creating Nigeria and its constitution. Today, Nigerian drivers are confronted with arbitrarily-made rules that are enforced by violent and thug-like agents known as ‘agbero’. Many of these agents intimidate, extort and terrorize road users in their violent and crude ways of regulating traffic. Hence, while trying to evade these violent ‘agberos’ many drivers end up causing accidents in Nigeria. The above causes of accidents in Nigeria are traceable to the foundation of Nigeria, which affects other aspect of Nigerian lives. Colonialists created Nigeria by violently binding hundreds of unconsented kingdoms and communities under a militarized government for exploiting resources. Before leaving at independence, colonialists fixed a constitution to guide their indigenous replacements in seizing and exporting the people’s resources. Thus, the major purpose for creating and sustaining Nigeria is for exploiting resources for colonialists, not for the people’s wellbeing. Other administrative efforts in education, healthcare, infrastructure and social regulation are excuses to justify the imposed social structure and seizure of resources. Hence, Nigeria’s colonially-made government created states, local governments and ministries to provide few foreign products as infrastructure, salaries and regulations. First, road construction, maintenance, sign-installations and traffic regulations are among the new excuses to justify post-colonial governance and resource-confiscation. Hence, they may not be taken seriously by a government that was created to exploit people’s resources for foreigners. Many deadly roads may not receive government attention, unless for campaigning to retain government office and access to resource funds. Also, programs for extensively enlightening Nigerians about the proper use of vehicles may not receive adequate attention. Second, Nigeria’s constitution did not develop from an agreement between the various dissimilar people that were violently merged in Nigeria. Thus, other laws proceeding therefrom, including traffic codes, receive similar disregard from Nigerians who do not see these laws as theirs. Many Nigerians do not feel any attachment or responsibility to those laws, and will only obey by militarized force. Even the poorly-paid traffic agents look away once they are ‘settled’ for arresting a traffic offender. So, laws about training, licensing or checking before driving, no drink-driving and others are rarely observed. Third, the post-colonial government’s confiscation of people’s resources for export rendered many Nigerians unproductive, poor and dependent on expensive importation. Humans create wealth by applying intelligence on natural resources to produce useful commodities for use and trade. When the colonially-imposed government confiscates people’s resources, it removes their capacity to create wealth, thus rendering them poor. And due to this artificially-created poverty, many Nigerians cannot afford standard vehicles, maintenance, repair and a balanced life. Instead they live in anxiety, stress and pains, and go for substandard vehicles that were rejected in other countries. Conduct a social research to ascertain and acknowledge the different Nigeria’s peoples and their respective lands and resources. Organize intercommunal conferences for the ethnic communities from local governments to states towards a national conference. This will create an avenue for Nigerian ethnic groups to decide on their mode of partnership. Thus, constitutional decisions and laws will be developed to reflect the people’s beliefs and agreement for better partnership. Convoke local/foreign-trained specialists to train the people to process their local resources for advanced production, and to protect their environment against pollutions. Returning the people’s resources for them to begin producing what they use and trade, and then pay tax to central government. This will encourage government to protect the people’s productivity for better tax-returns, and encourage citizens to produce modern tools and commodities. It will also make Nigerian government more responsible in providing standard roads, traffic signs and regulations for productive activities. A gainfully productive people will afford and demand standard vehicles, maintenance, goods and services from fellow productive Nigerians. Then their lives will become more meaningful and valuable, that they abide by agreements for a safer and better society. Build more roads to make special roads for special vehicles like fuel tankers. Retrain traffic officers; Employ and train more people to expand the Federal Road Safety Corps (FRSC) for guiding people on best road usage. Set up disciplinary teams and contact channels for reporting errant officers. Restrict the road use periods for some heavy vehicles like tankers or trailers on some roads. Create government driving schools, and validate standard private driving schools to train and certify road users before they obtain license. Use social media and other communication channels to educate the society on their rights and duties towards best road usage. Form unions certify and license mechanics who will be held responsible when their mechanical errors lead to accidents in Nigeria. Hence, government will insist that mechanics repairing and servicing vehicles in Nigeria are qualified and responsible for their work. After series of media enlightenment, develop policies to tackle traffic offenders or reckless auto-repairers with arrests, prosecution, fines or jail-terms. The policy will allow people sue government for neglecting roads, lights or signs that eventually cause accidents in Nigeria. Also, people and bodies who damage roads and other infrastructure through accident have to pay for them. Hence, the traffic regulatory bodies will trace causes of every accident to decide each party’s level of liability. And those whose accidents from recklessness leads to other people’s deaths may serve long prison terms for such carelessness. Accidents in Nigeria continue to claim more lives, injure many people and damage property and infrastructure. 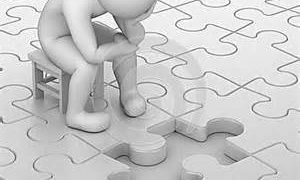 Without reorganizing Nigeria to work for Nigerians, no law may ever correct the steady damage from accidents in Nigeria. Walter Rodney, op. cit. 319.